When I wrote the About page for this blog I cited an article by Alan Jacobs from several years ago in which he likened blogs to commonplace books. 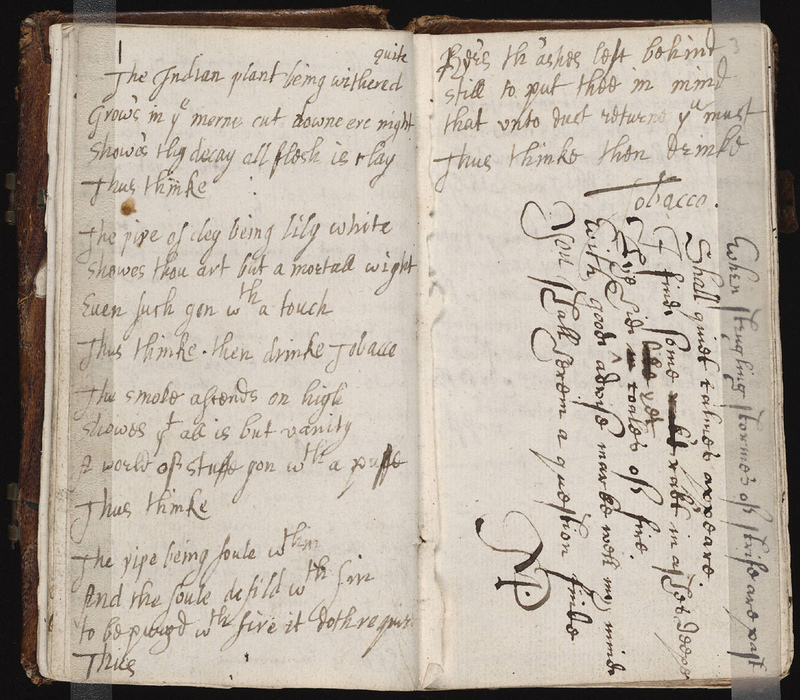 Commonplace books, especially popular during the sixteenth century when printing first began to yield an avalanche of relatively affordable books, served as a means of ordering and making sense out of the massive amounts of information confronting early modern readers. As is frequently noted, the dismay and disorientation they experienced is not altogether unlike the angst that sometimes accompanies our recent and ongoing digital explosion of available information. And so, taking a cue from Jacobs, I intended for this blog to be something akin to a commonplace book. As it turned out, the analogy was mostly suggestive. Much that I write here does not quite fit the commonplace genre. Nonetheless, something of the spirit, if not the law, persists. The commonplace genre would find a nearer kin in Tumblr than in traditional blogs. In a 2000 essay reprinted in The Case for Books (2009), historian of the book Robert Darnton also reflects on commonplace books and the scholarly attention they attracted. The attention was not misplaced. Commonplace books offered a window into the reading practices and mental landscape of their users; and for an era in which they were widely kept, they could offer a glimpse at the mental landscape of whole segments of society as well. In the spirit of the commonplace book, here are some excerpts from Darnton’s essay with a few reflections. “It involved a special way of taking in the printed word. Unlike modern readers, who follow the flow of a narrative from beginning to end (unless they are digital natives and click through texts on machines), early modern Englishmen read in fits and starts and jumped from book to book. They broke texts into fragments and assembled them into new patterns by transcribing them in different sections of their notebooks. What is only a parenthetical aside in Darnton’s opening paragraphs was for me a key insight. Darnton’s description of commonplacing could easily be applied to the forms of reading practiced with digital texts, all the way down to the personalization. What is missing, of course, and this is no small thing, is the public or social dimension. That last sentence could easily function as a research paradigm for analysis of social media. Map the “elective affinities” of what Facebook or Twitter or Google+ users link and post and the emergent patterns will be suggestive of underlying epistemologies. Although here again the social dimension complicates the matter considerably. The “elective affinities” on display in social networking sites are performative in a way that private commonplacing was not, thus injecting a layer of distorting self-reflexivity. But, then, that performative dimension is interesting on its own terms. Again the resemblance between early modern reading practices as described by Darnton and digital reading practices is uncanny. The rise of sustained, linear reading is often attributed to the appearance of printing. Darnton, however, would have us connect sustained, cover-to-cover reading with the later rise of the novel. In this case, the age of the novel stands as an interlude between early modern and digital forms of reading which are more similar to one another than either is to reading as practiced in the age of the novel. The idea of “reading for action” is also compelling as it suggests the agonistic character of both early modern English politics and early 21st century American politics. I suspect that a good deal of online reading today is done in the spirit of loading a gun. At least this is often the ethos of the political blogosphere. Nonetheless, Darnton would have us see that this form of reading, at least in its early modern manifestation, had its merits in what it required from the reader as an active agent. Early modern Britons and those of us who are living through the digital revolution (an admittedly overplayed phrase) share a certain harried and anxious disposition. It was, after all, the early modern poet John Donne, who wrote of his age, “Tis all in pieces, all coherence gone.” Early moderns deployed the commonplace book as a means of collecting some of the pieces and putting them together once more. If we follow the analogy, and this is always a precarious move, it would suggest that the impulses at work in contemporary digital commonplacing practices — which have not only written information, but lived experience as the field from which fragments are culled — are deeply conservative. They would amount to an effort to impose order on the chaotic flux of live. whereas, your essay makes wonderful links between the two eras of commonplace communication, i grieve that we are able to physically touch/read one of these books, while I doubt we will be able to read your blog’s content in a future era (perhaps even with the faster, better “new” digital technologies). there is greater permanence woven into the very design of a physical book. by the end of this comment post, i have lost why am saying what i am saying. i enjoy reading your essays. Absolutely, materiality is an important difference between the two, and that’s a pretty big deal. A lot of the talk that goes on in digital humanities circles focuses on the preservation of digital texts, which is a lot trickier than people sometimes assume. For myself, I’ve contemplated using a service like Amazon’s Create Space to get a physical copy of my blog musing for myself, there is after all no guarantee that WordPress will always be around.